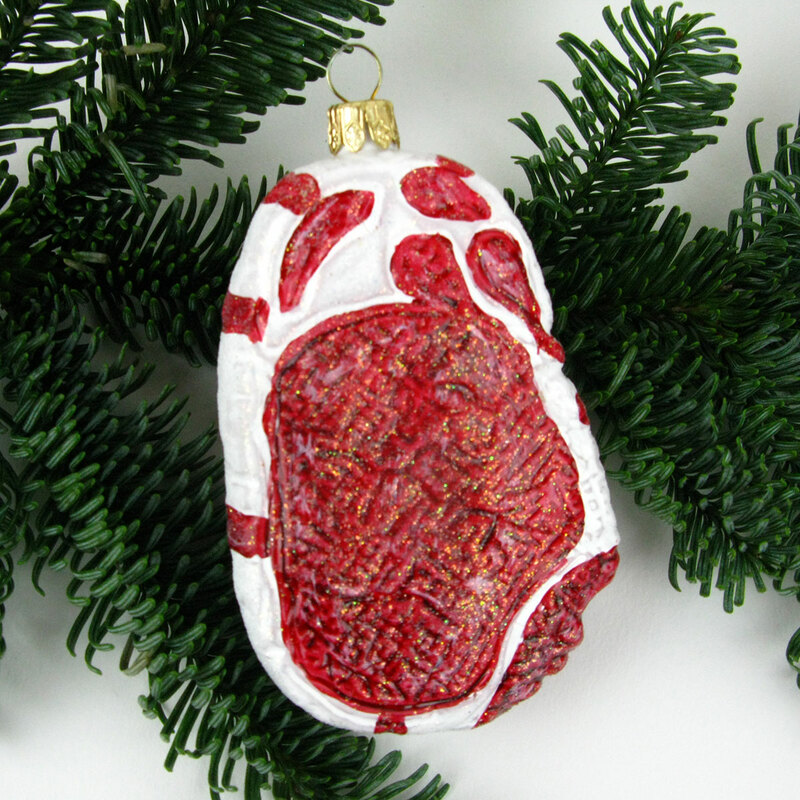 A glass Christmas bauble in the shape of a steak of meat! You don’t come across these very often! 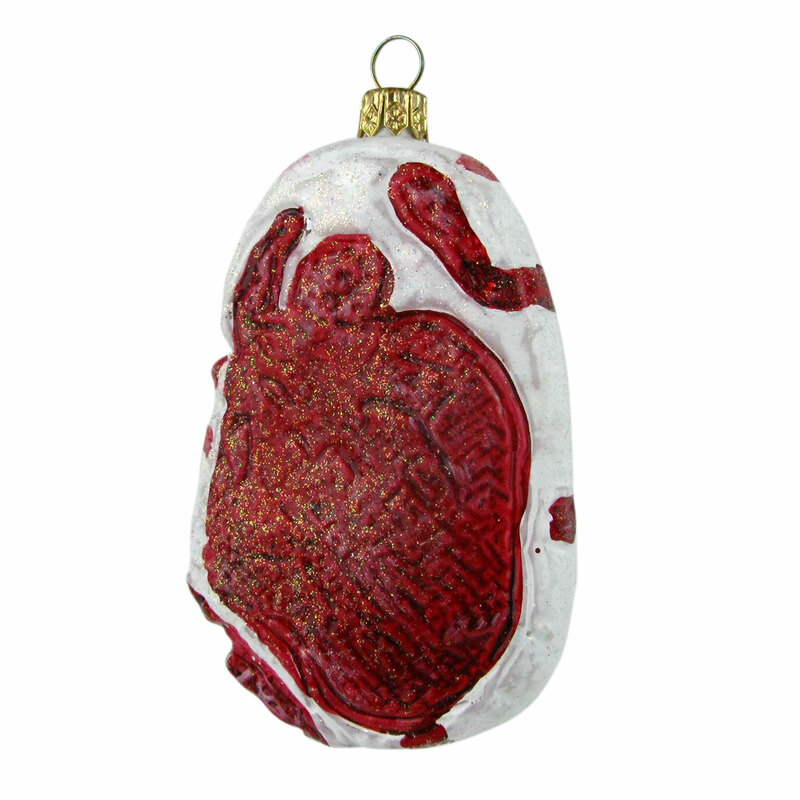 A mouth-blown and hand painted soda glass bauble in the shape of a steak of meat. 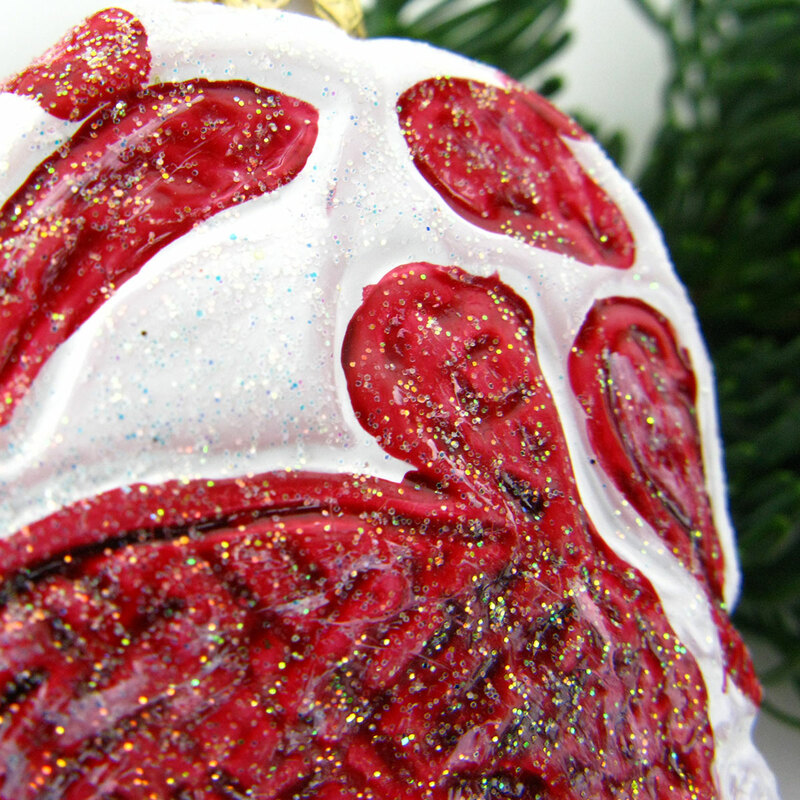 Has strangely realistic details with a glittery Christmas touch. Even vegetarians are drawn to the allure of this bauble.